Spa and swimming pool in one! Thanks to the high performance counter current motor you can enjoy the swimming in your Swim spa pool for hours. It can be a relaxing time with the family or workout, relaxing swimming, the Amazonas Turbine swim spa provides opportunity for all of them. With its 5, 46 meters of length, besides its purpose of a swimming pool, it contributes to the perfect freshening wellness experience with a massage section for 3 people. With the easy access to the swimming area, we can easily change between the pampering wellness and the sport activity that moves the whole body. The W-Power Turbine - instead of the 3 hydromassage pumpsis capable to spin 50-160 m3 water per hour. In contrast to standard swim spa pumps Amazonas Turbine’s turbine produces by 75% less power consumption while delivering twice the amount of water. The incredible performance combined with energy efficiency.. Swim Pro’s Shell us a technological Triumph, Developed as as entirely eco neutral Acrylic/ABS/ Polymer Laminate System that results in a stronger Lighter, more stable, eco friendly and ultimately biodegradable product. The W-Power Turbine - instead of the 3 hydromassage pumps- is capable to spin 50-160 m3 water per hour. In contrast to standard swim spa pumps. Swim Pro’s turbine produces by 75% less power consumption while delivering twice the amount of water. The incredible performance combined with energy efficiency. Introducing our new full featured keypad with color capacitive touch screen display. Parting ways with physical buttons, keys and overlays, our touch screen keypad is fun to use, simple to learn and features an intuitive and engaging one level menu interface. The UV-C water sanitization brings the latest advances in UV-C water treatment technology to domestic Spas. UV-C has long been a preferred system of sanitizing water in commercial swimming pools. This water treatment is hypo-allergenic and practicably 100% effective in destroying bacteria, viruses and water bourn contami-nates. Unfortunately the swimming pool equipment is large and heavy and impractical for use in domestic portable spas. Until now. Our exclusive UV-C water sanitization is light, compact and very powerful. Using just a tiny amount of power, it will silently, safely, and auto-matically treat the entire spa bathing water, many times each day, ensuring crystal clear, natural quality bathing water for you and your family, whilst minimizing the use of additional sanitizers. 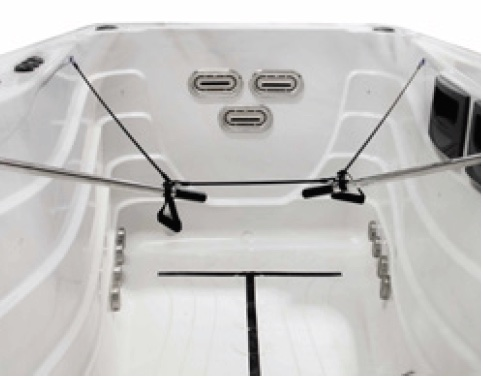 All Swim Pro spas use a multi-stage filtration and sanitation system that ensures crystal clear, safe bathing water with the minimum of user input. 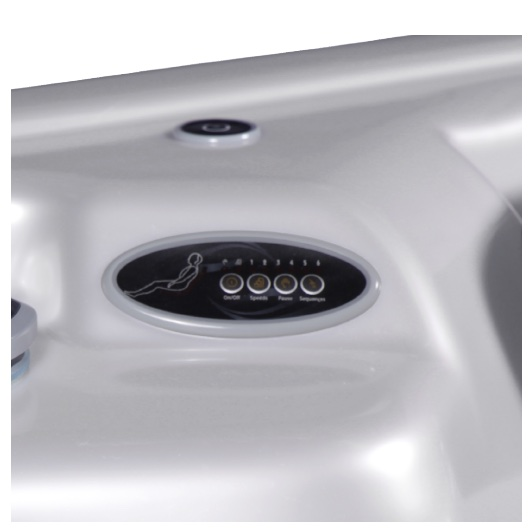 All Swim Pro spas use a multi-stage filtration and sanitation system that ensures crystal clear, safe bathing water with the minimum of user input. All Swim Pro spas use a multi-stage filtration and sanitation system that ensures crystal clear, safe bathing water with the minimum of user input. All Swim Pro spas use a multi-stage filtration and sanitation system that ensures crystal clear, safe bathing water with the minimum of user input. The process starts with our special antimicrobial cartridge filters. The low energy eco-circulation pump draws spa water through these filters where any tiny particles are trapped. Our exclusive German built Silent™ hot air blower systems fitted as standard to all our blower equipped spas. The warmed air combined with a sparkle effect gently caresses and oxygenates your skin. The SmartPhone application is a development for our massage spas. Immediate access and remote control. 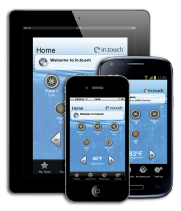 You can access the control system of your spa any time from anywhere. You can set the water temperature and circulation and you can even check the current status of the spa. 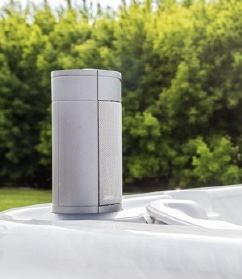 The AQUASOUL™ Pro sound system features the newly developed, top quality waterproof elements. You no longer need to bother with CDs, MP3 players or any other cable connected devices because the built-in receiver is true WiFi and Bluetooth so its even connectable via your mobile phone. A brand new technology that brings physical massage into your spa. Imagine the fingers of your very own massage therapist pressing on your back. 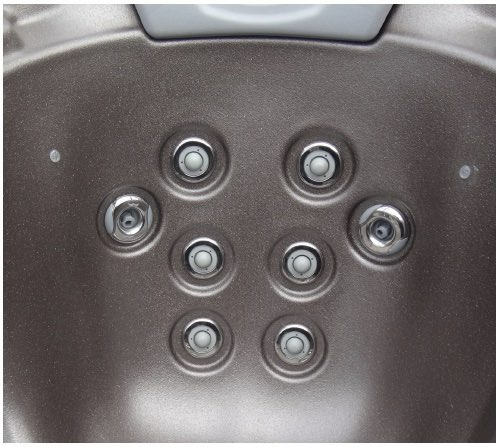 Very similar to the effect from a massage chair, these pods are not water jets but moving massage pods that provide a physical shiatsu type massage to the deeper tissues of the back. Several massage programs and intensities can be easily selected from a convenient touch panel and controlled independently from the hydro jets. Enhances the experience! The PULSAR™ Massage System lets you choose from 6 different massage programs in one of the spas seats or beds. Simply select the program and speed and the jets will pulse on and off to send the massage up and down your body. This pulsating movement brings many of the benefits of hand massage in assisting circulation and the flushing of toxins from the body – apart from just being wonderfully relaxing too! Hydro massage tailored just for you. Colors can evoke many beneficial sensations in us - which have a significant positive impact on our physical wellbeing. The rainbow of colors in the natural spectrum each have a different influence, a fact that was recognized by the ancient Egyptians. More recently much scientific research has been carried out to identify particular beneficial effects of each part of the color spectrum. The application of this knowledge is now known as chromotherapy and is widely used for helping with relaxation, destressing and mood enhancement. The benefits of inhaling the aroma of distilled essential oils has been known about for many centuries. When combined with the hydro massage system the aromatic scents can enhance your mood, and aid deep relaxation. Smells are one of our most evocative senses, triggering memories and changing perceptions. With a more simple solution we will make it easier to enhance the experience. With this push-button system air motor is not required to distribute the fragrance, thus this option is now available not only for high-end models. Swim Pro COVERS cover helps to keep our customer’s energy costs to a minimum. Your spa cover is the most important piece of your spa equipment to keep your hot tub water clean, and to keep your energy bill at a reasonable level. Save money on heating costs! Heat rises, and just like in your home, most heat loss in a hot tub goes directly up. Our covers include features like a full length hinge buffer seal, internal vapor seal, and a marine grade UV resistant outer cover. The top surface slopes like a house roof so that rain can easily run off. 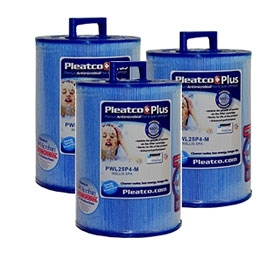 The new Pleatco ADVANCED+PLUS Antimicrobial SPA Filter Cartridges are designed to provide an unsurpassed level of leisure water cleansing. Our new ‘blue-ribbon’ cartridges are built with Pleatco Advanced Point Bonded Filtration Fabric enhanced with an exclusive antimicrobial agent infused into the filtration fabric itself. This technology inhibits the growth of dangerous microbes and provides continuous, durable and effective added protection for the lifetime of the product ensuring the health, safety and well being of your family. The rust-proof rails have an anti-slip foam rubber grip and can be fixed to the side panel of the spa cabinet to provide convenient and safe access in and out of the spa. The SPA WAND manual pool cleaner is a great device for collect-ing particles from the footwell and seats without needing to drain down the water. The plastic tray has a stainless steel support that can be mounted to the side panel of the spa cabinet and can also be rotated 360 degrees. 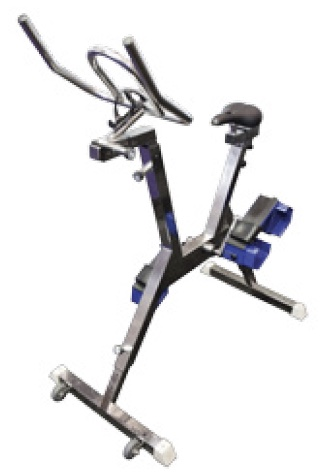 The expander combined with paddles offers the experience of real rowing. At the same time, the expander alone, fixed to the attach-ment on the side of the pool, can be used for a number of different fitness trainings. The Aquabike is recommended to those who seek a general fitness training, need exercises for rehabilitation, or simply enjoy cycling.